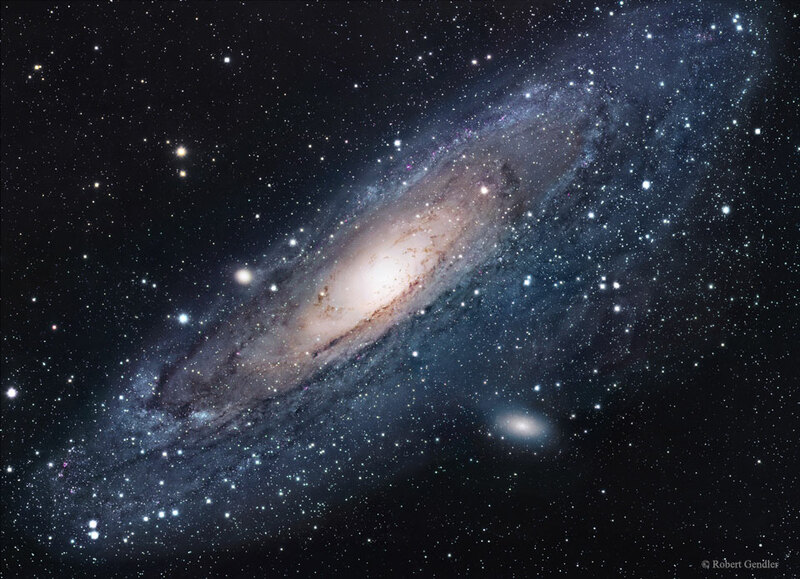 Andromeda (M31) is the closest major galaxy to our own, the Milky Way. One day, billions of years from now, Andromeda will collide with the Milky Way. With a distance of over 2 million light years to cover, we have a long, long time before we’ll see any significant changes in the night sky.